God is the source of all wisdom! for I know you will enjoy it! Amen. Need Church Supplies? Need Home Supplies? 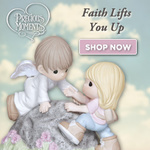 Need Collectables and Gift Supplies? WE CAN HELP with THE VERY BEST!!! Go to our website: www,lowellmason,com. and click on THOUGHT FOR THE DAY for details. This ministry is a ministry of Faith, and is supported by God’s People. Please pray and support our work.